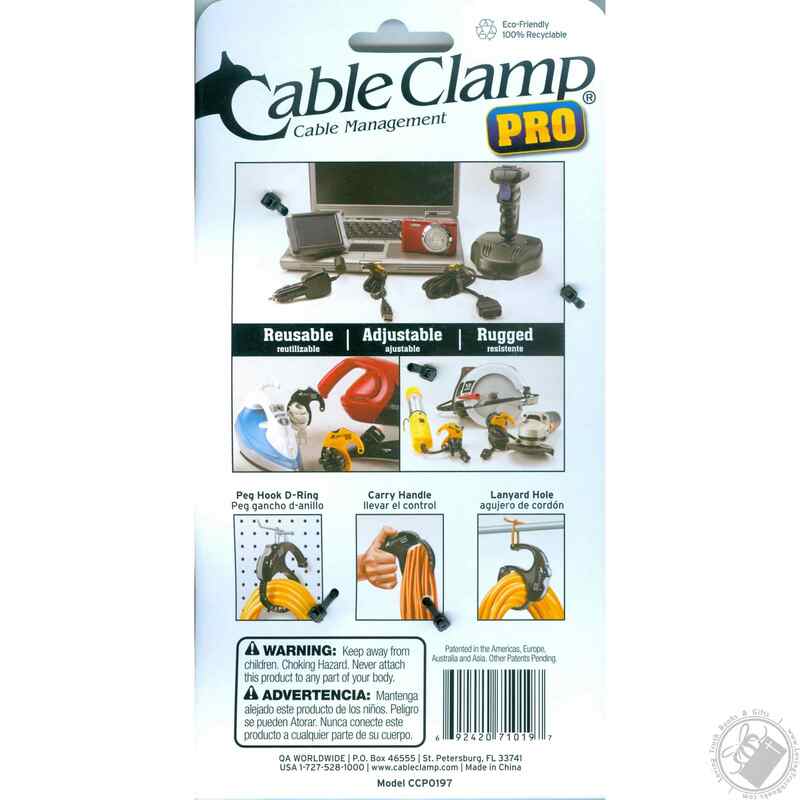 The Cable Clamp Pro 3 Pack is an innovative and easy-to-use cord management and organizational tool which is superior to tape, cable ties, and hook & loop products. 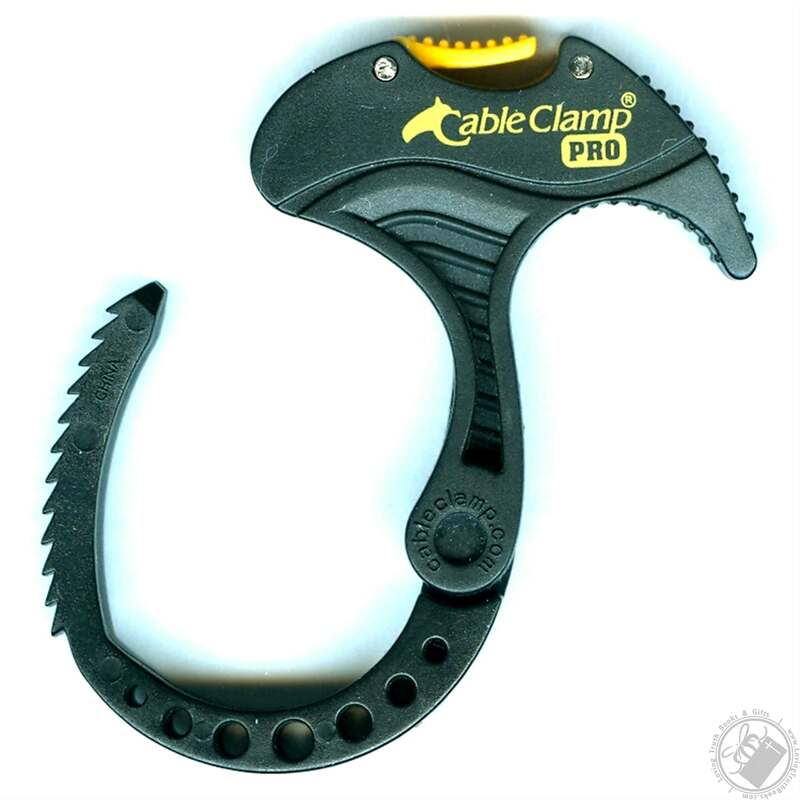 The Cable Clamp is forever reusable and can be easily opened and closed with one hand utilizing its unique Quick Connect/ Quick Release feature. Constructed with durable polymers and stainless steel, it features self-aligning, self-adjusting, and self-locking technologies. Tremendously useful with real-world applications, the Cable Clamp is the solution to your wiring troubles. Cords, Wires, Bags, Belts, Keys, Fabric, Jewelry, Hoses, Ropes, Plants, Travel, Boating, Sports & Camping, Audio, Visual & Photographic Equipment, MIS Networking & Electronics, Computers, Portable Electronics, Office Equipment, Business Systems, Notebooks, Mobile Phones, Entertainment Centers, Video Games, Apparel, TV/VCR, Stereos, Bath, Holidays Lights, Home Appliances, Power Tools, Entertainment Center, AV Wires, Accessory Wires, Garland, Decorations, Extension Cords, and More! 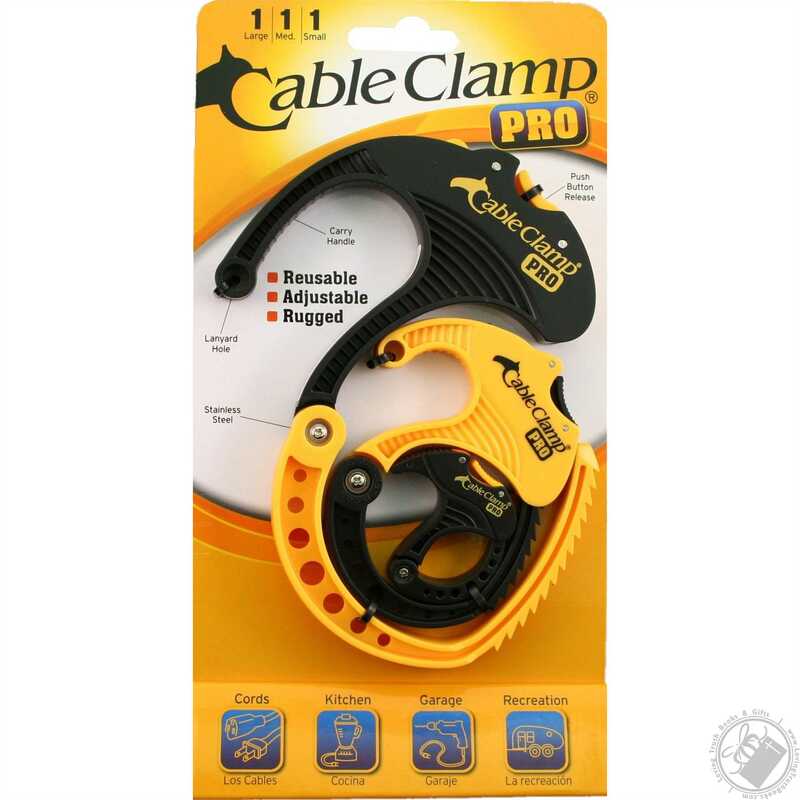 The Cable Clamp is intended to replace tape, nylon wraps, and hook & loop products, such as Velcro®, when securing, bundling, or transporting cords, wires, and a variety of other items. Constructed with durable polymers and stainless steel it offers the final solution to sticky residues left from tape; the deterioration of expensive and difficult-to-use hook and loop fabrics; and the elimination of one use/one way locks found on disposable wire wrap products. 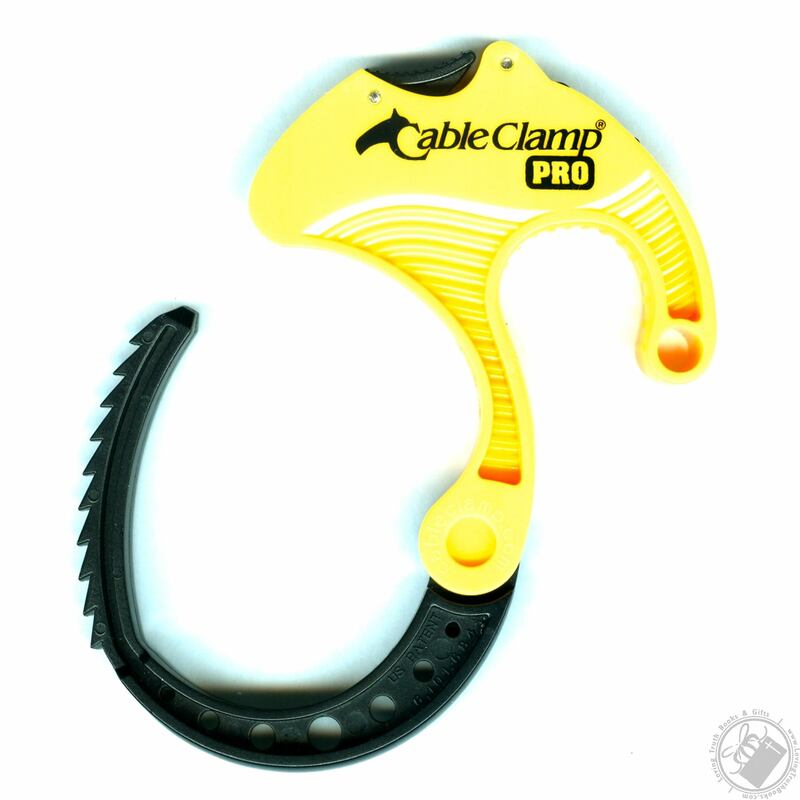 The reusable Clamp’s unique self-aligning, self-adjusting, and self-locking features allows it to be easily and rapidly engaged with a gentle squeeze on the jaws, and just as easily removed with a slight lift of the specially designed trigger. 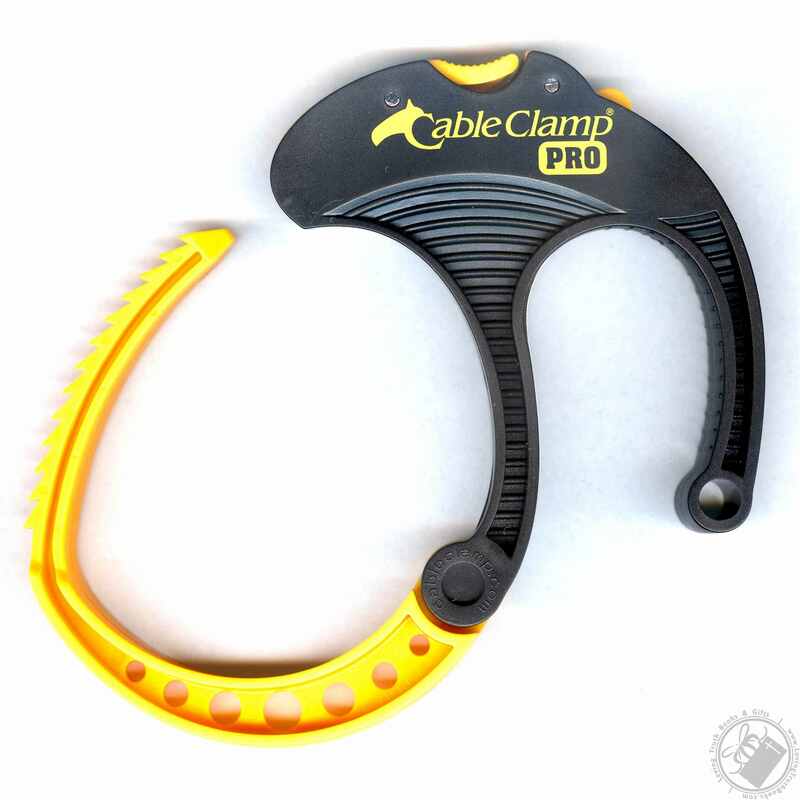 Each Clamp has up to ten adjustable settings and will not cause damage to sensitive systems such as CAT 5 or fiber optic lines since they cannot be over cinched.